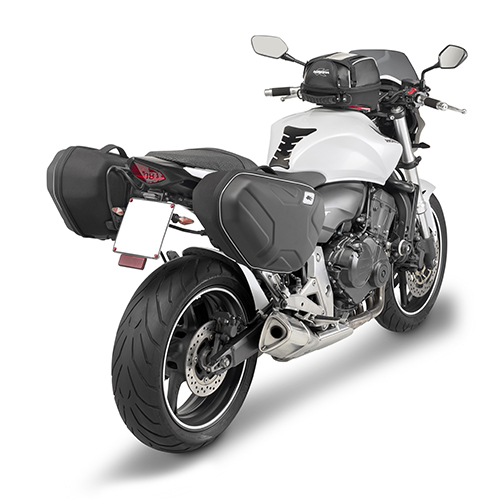 Pair of thermoformed side tank bags, light and practical for urban use and also on long journeys. 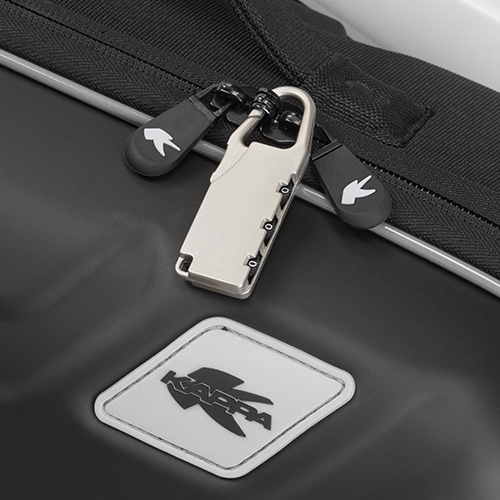 Quick attach/release system on the frame attached to the motorbike, with a frame with key fixing system, studied by K•LAB specifically for soft bags. The RA314 has unique design, externally clad with 100D polyester and EVA laminated polyester for the lining. 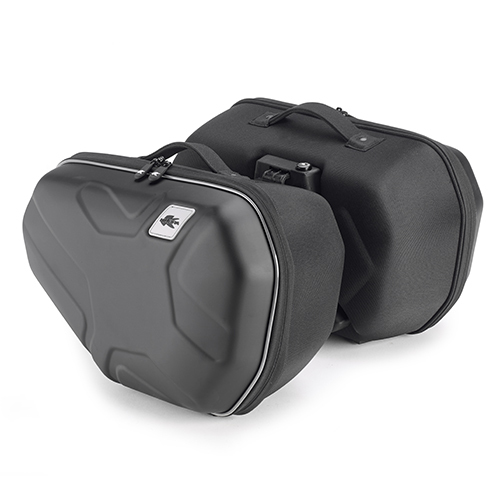 It is supplied with protective feet, a rainproof cover and zip slider with a blocking lock. Alforjas laterales con sistema Easylock termoformadas.